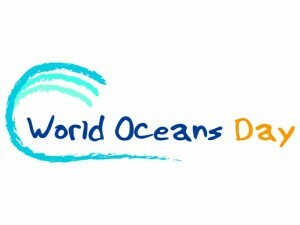 WASHINGTON DC – The Institute of Caribbean Studies (ICS) will launch a Caribbean SeaFan Festival Online on June 8 as part of the celebration of UN World Oceans Day and in commemoration of June as National Caribbean American Heritage Month. The event is part of ICS’s public awareness campaign “Life Needs the Caribbean Sea.” The festival will include a telethon and multi-media storytelling through video, film, interviews, roundtable dialogues and cultural performances. Submissions for participation in the festival are invited. The event serves as a catalyst for educating the public on the importance of the Caribbean Sea and impetus for a more environmentally friendly marine literate culture. As this year’s UN theme, “Together We Have the Power to Protect the Ocean,” implies, it will take a collective effort to protect the Caribbean Sea. The Caribbean SeaFan Festival & Telethon is a platform for creative collaboration across the Caribbean Sea Fan community (marine and maritime), and the foundation for possible partnerships for DIY distribution between filmmakers. The Festival and Telethon will bring together diverse voices including environmental activists and agencies as well as research and academic institutions, nonprofit organizations and community groups. Through film and video, attendees can learn about projects and activities benefitting the Caribbean Sea and marine life. Participants will also share their life experiences and passion for the Caribbean Sea. Already confirmed to participate are world-renowned oceanographer Dr. Guy Harvey of Guy Harvey Foundation; Professor Joseph Heyman of the University of Texas; Richard Huber with the Organization of American States; Clement Lewsey with the National Oceanic and Atmospheric Administration; Corinne McAfee, Independent Film Maker; Owen Day, CARIBSAVE; Joseph Ierna, Jr., Ocean Crest Alliance; Braeton Police Youth Club and the National Environment Protection Agency of Jamaica. The Festival and Telethon will be streamed live on ComeSee TV, the leading online TV production company in the Caribbean, that has partnered with ICS on the campaign. To view the festival on June 8, visit http://comeseetv.com/streams/chtvlive or www.thecaribbeansea.org. For more information and to participate about the Caribbean SeaFan Festival & Telethon Online, please visit: www.thecaribbeansea.org or send us an email at icsdcorg.events@gmail.com. The Institute of Caribbean Studies (ICS), founded in 1993, is the architect and campaign chair for commemoration of June as National Caribbean American Heritage Month, established by President George Bush in 2006. ICS is a non-partisan, non-profit 501 (c) (3) organization founded by Dr. Claire A. Nelson, White House Champion of Change. The premiere Caribbean-American Think/Do Tank, ICS seeks to address development challenges facing Caribbean peoples, and to adopt a thorough, systematic and coordinated long-term perspective towards their resolution. To learn more about Caribbean American Heritage Month and the Institute of Caribbean Studies please visit our site at http://www.caribbeanamericanmonth.org.